Full floating carbon construction, no silicone. The AWE RS 6 / RS 7 S-FLO Carbon Intake features full carbon fiber construction allowing smooth transitions of airflow from the grille inlet to the turbo inlets. By deploying a new grille-mounted air box inlet, and utilizing the factory accordion turbo couplers, the S-FLO Carbon Intake floats in place under heavy torque situations, preventing strain on the carbon fiber. 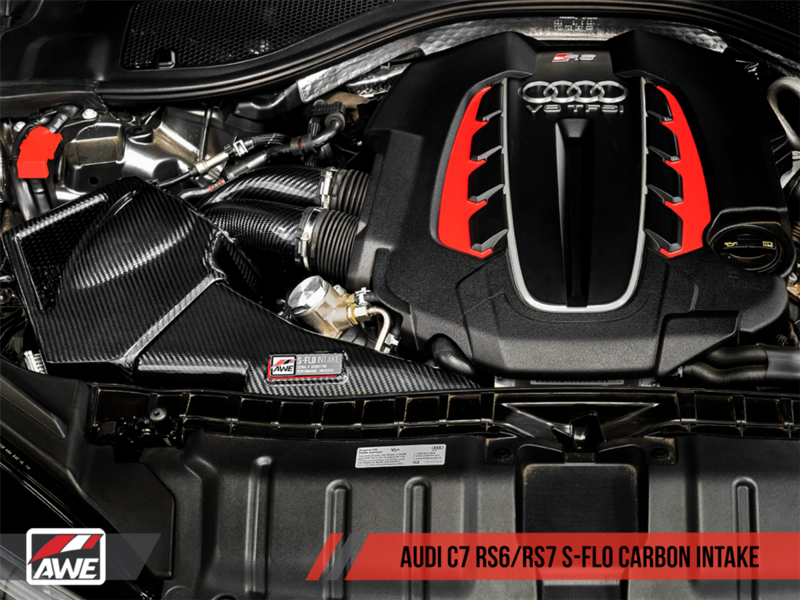 The RS 6 / RS 7 S-FLO Carbon Intake has been power and quality tested on the stock setup as well as under aggressive stage two conditions which incorporated high-flow downpipes. 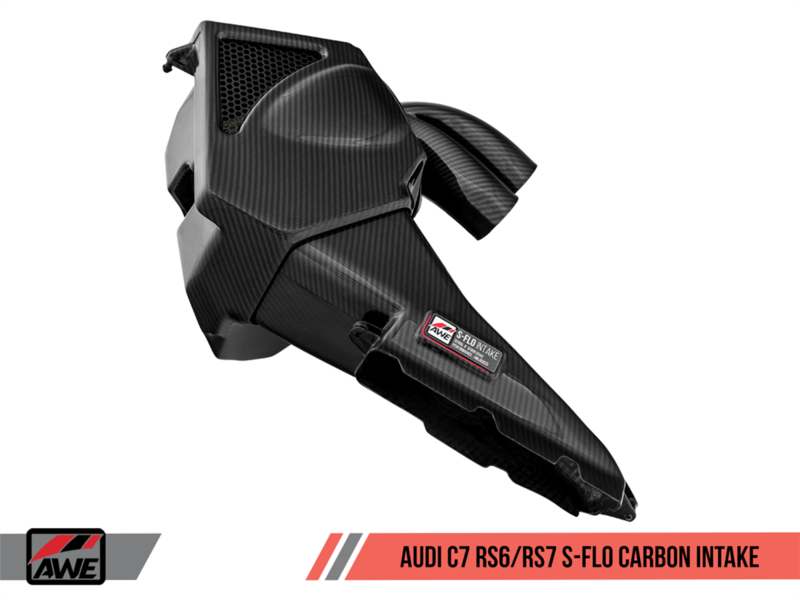 The RS 6 / RS 7 S-FLO Carbon Intake produced healthy gains in all scenarios, and has withstood long-term real-world testing for quality and performance. The included AWE S-FLO Filter is designed specifically for the RS 6 / RS 7 S-FLO Carbon Intake to ensure easy service and to maximize airflow by sitting in the direct path of ram air from the grille. This increased air flow unlocked maximum gains of 32 hp and 50 ft-lbs of torque @ 3150 rpm, at the crank, with Stage 2 software and high-flow downpipes. Performance has never looked this good.